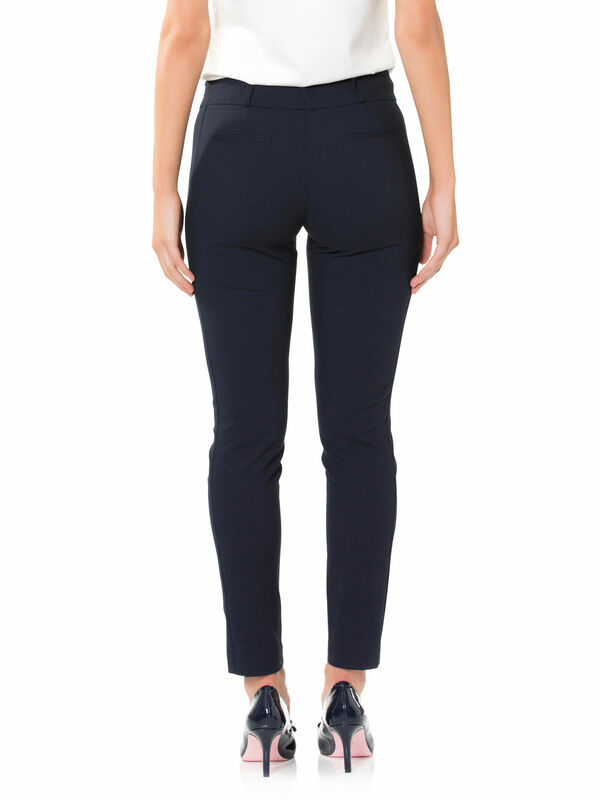 Lucinda Pants https://www.review-australia.com/au/lucinda-pants-navy/RE19PA005.RENVY001.html New to the REVIEW suiting collection, the Lucinda Pants are a cool style staple for the office into the evening. In a slim, full-length fit, these pants are crafted from a lightweight textured fabric with slight stretch. In a streamlined finish, they fasten with a zip fly and eye closures. Lucinda Pants is rated 4.5 out of 5 by 24. 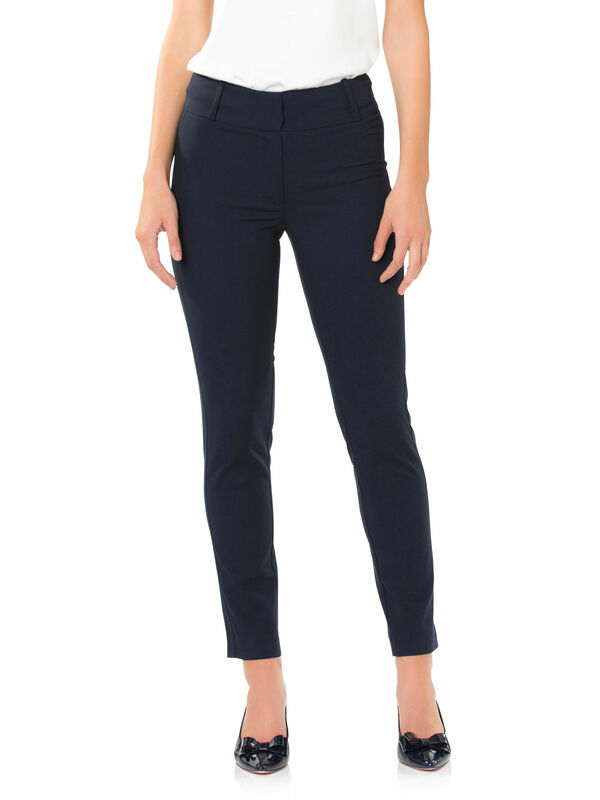 Rated 5 out of 5 by Mel Kate from Perfect Work Pant I recently purchased the Lucinda Pants in navy and when I slipped them on in the change room, I felt like I had found the holy grail of work pants. The length is just right, the fit is snug yet flattering and the material is surprisingly light weight which is perfect for the warmer weather. These are a favourite already! Rated 3 out of 5 by SuperSuze from Very slim legged Tried on in store, but didn’t buy... great fit in the waist and through the hips, but they got caught on my calves and bunched up. No good for my runners legs. Only suitable for very slender legs. Great fabric though, and lovely panels, just not the right shape for me. Rated 5 out of 5 by EFisher from Amazing, comfortable and soft! 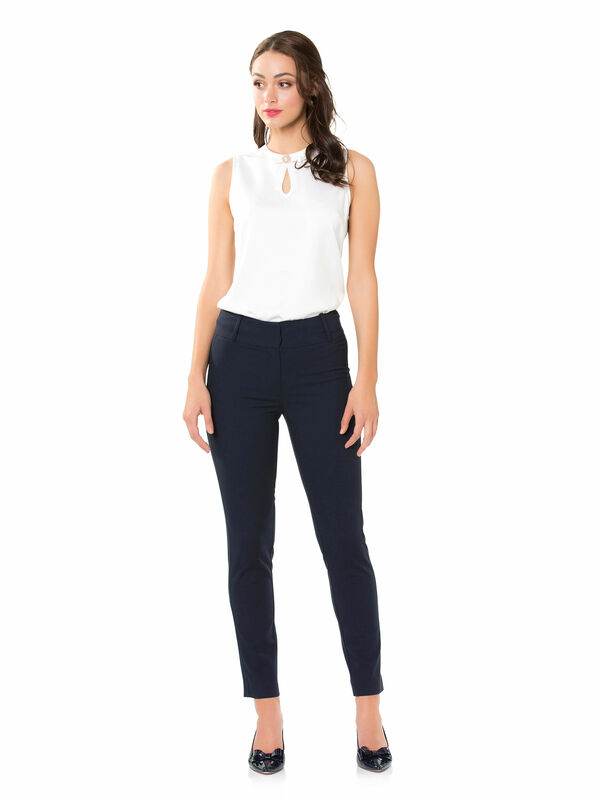 I bought these as work pants to go with our new white polos and they are so lovely to wear. The material is super soft and lightweight and doesn’t scrunch in areas if you’ve been sitting down for too long. I love them so much, I bought another two pairs!! Rated 5 out of 5 by Suzy from Perfect for work! I bought these just recently - had been wanting a navy pair if pants for work but always have trouble with the fit. The Lucinda pants are perfect - slim but not tight, they look very smart and will go with so many if my review tops. Great material too! Rated 1 out of 5 by Legaleagle from Matching suit is lovely & pants are ok Love Review pants but find the buttons often need reinforcing. Bought these a size too big & still the button fastener at waist came loose & fell off on second wear because of the (lack of) tension in the cotton. Great style though! Rated 2 out of 5 by Asdf from Not made for regular women These pants are not made for women’s who have normal sized legs. You have to have skinny thighs for them to fit comfortably. If I lost weight they would be massive around the waist but would fit my thighs. Rated 5 out of 5 by StephSunbeam from So versatile and a great fit! I often find it hard to find pants that fit well - that are not stretch. But these ones fit perfectly and can be dressed up for work or a replacement for jeans for social occasions. Love them!